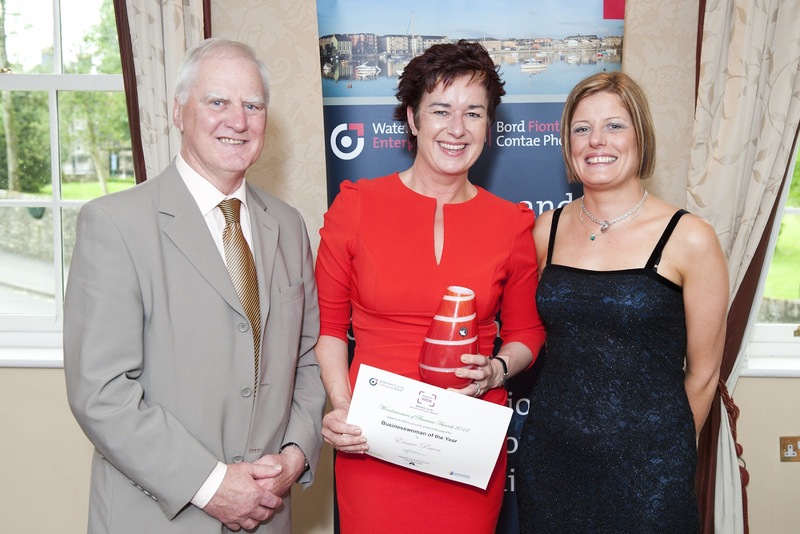 The WEN Wonderwomen of Business Awards took place on Friday 15th June at Lismore House Hotel. Guest speaker, Lauren Fisher of Simply Zesty flew in from London to join the local businesswomen in their celebrations. Having started her business from her bedroom, Lauren successfully grew the company and sold it to UTV for £2million. As part of the deal, she still works for the company and is currently growing the UK branch. "Anything is possible," says Lauren, "you just need to put the time into building your dreams. There's always an extra hour in the day that you can use, whether that means getting up an hour earlier or staying at it an hour longer in the evening, if you want success you'll find the time." County Manager and Chair of Waterford County Enterprise Board, Denis McCarthy, congratulated all the finalists and highlighted the importance of female entrepreneurship to the achievement of the county's economic plan. Anike Tyrell, CEO of Waterford County Enterprise Board, who sponsored the top prize of €2500 worth of social media from Simply Zesty spoke about the impact of social media and about the female contribution to social media. This was the first time these awards have taken place in Co. Waterford and the standard of entries was extremely high. The wonderwomen of business award winners were: Businesswoman of the Year, Eunice Power; Outstanding Professional Service, Tracy Quinlan; Outstanding Employee, Jenny Beresford; Outstanding Personal Service, Olivere Lannen; Excellence in the Arts, Miranda Corcoran; New Business, Breda Mackle; Tourism and Leisure, Imelda Walsh; Food, Audrea Hassett and Online, Emma Penruddock. Dungarvan Enterprise Centre was proud to be involved in the Waterford WEN and also host the WEN meetings once per month. It is a free network open to all women in business. The network offers skills development, guest speakers, networking and referrals. We look forward to starting meetings again in September. More details about the network can be found on www.facebook.com/waterfordwen .